Limestone Natural Stone Steps - 6" tall limestone steps from Wicki Stone. 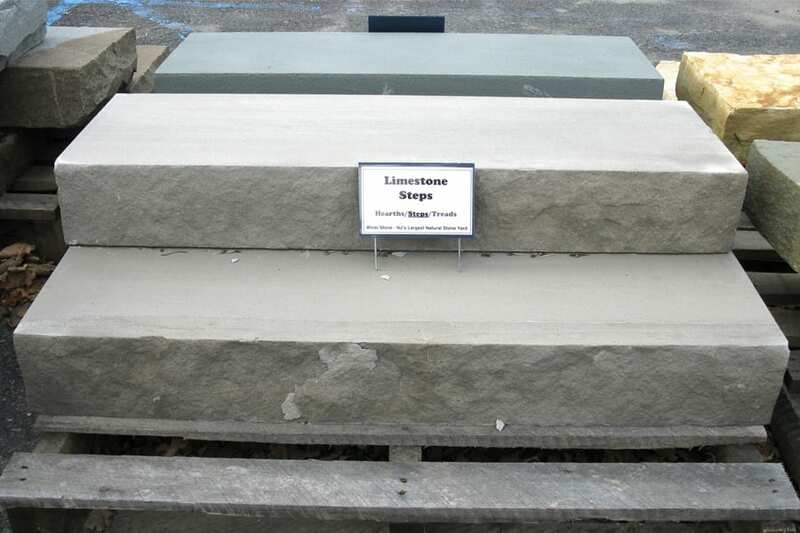 Limestone Natural Stone Steps are a grayish white and age to a deeper gray. They are sawn top and bottom with a rock faced finish on 3 sides. This is classic Indiana Limestone and we have 6" tall Limestone Natural Stone Steps in stock at Wicki Stone. Guillotine snapped for straight edges. Edges remain slightly rough but top and bottom surfaces are smooth but not slippery. The classic limestone look seen in countless public buildings throughout the country. White to light gray - tens to age with time and turn a light gray. All sides are guillotine snapped for reasonable straight edges. Top and bottom steps are smooth but not slippery. 6" riser heights, 4 feet wide, 18" deep. 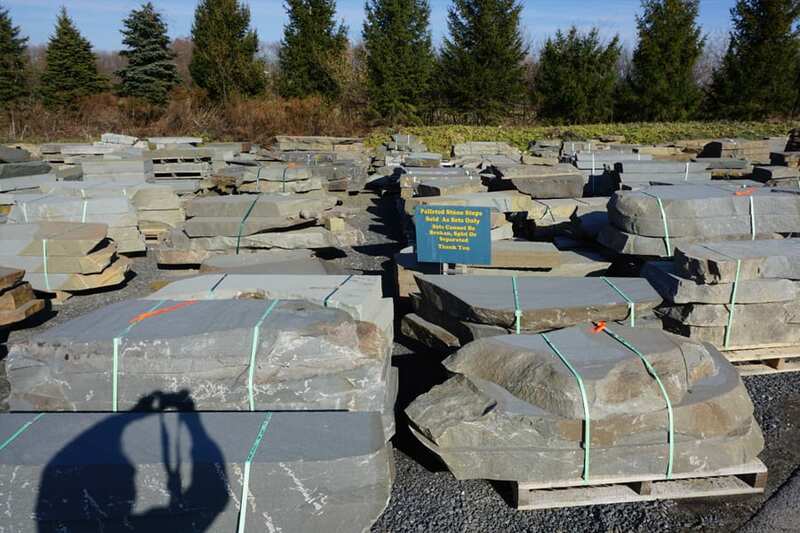 We have one of the largest inventories of natural stone steps in the northeastern United States. How are these steps moved into place and set? In most cases a machine is required to move a step, and certainly required to move a whole set. Each step can weigh several hundred pounds with some steps easily weighing 400-500+ pounds. A skid-steer loader is one of the most frequently used machines for moving steps into place. If you have never done this before we highly recommend you consult a professional. 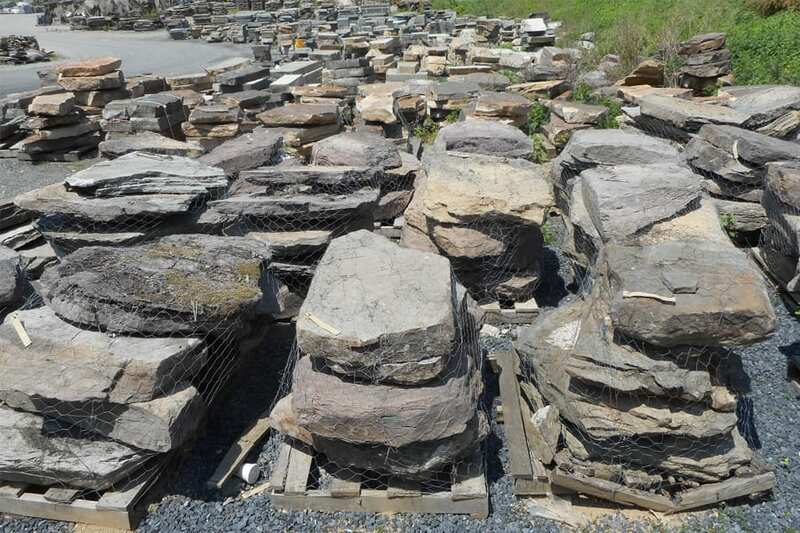 Excavators, Masons and Landscapers are the types of contractors who have experience moving stone this large.